Cut out 70mm. Diameter 80mm. Depth 120mm. Lamp type R50 required. Max 40W. This luminaire is compatible with bulbs of the energy classes A+ to E. Meridian Lighting. 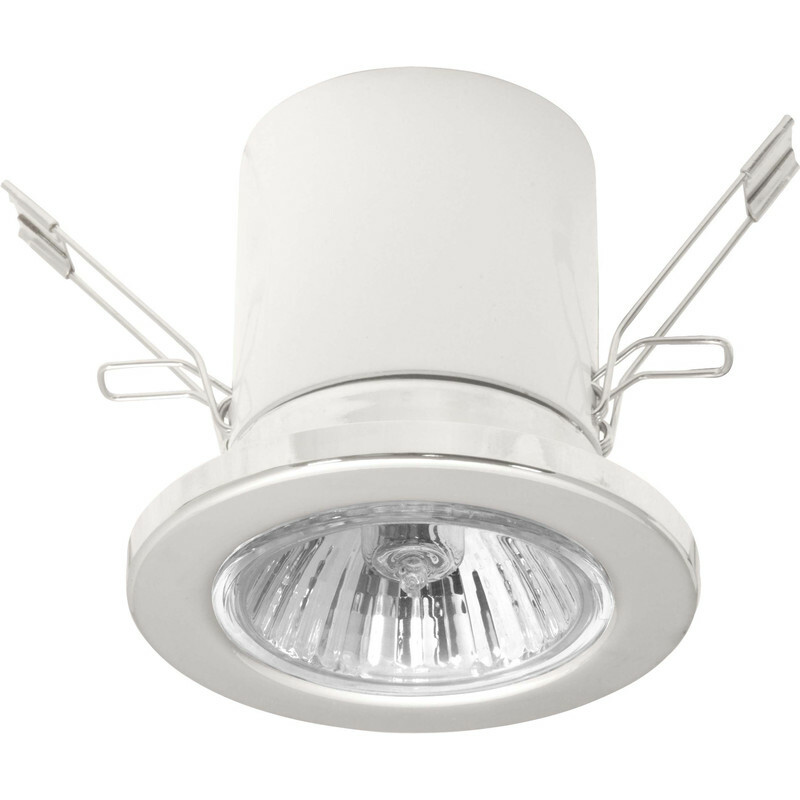 Mains Voltage R50 Downlight White is rated 4.0 out of 5 by 2.